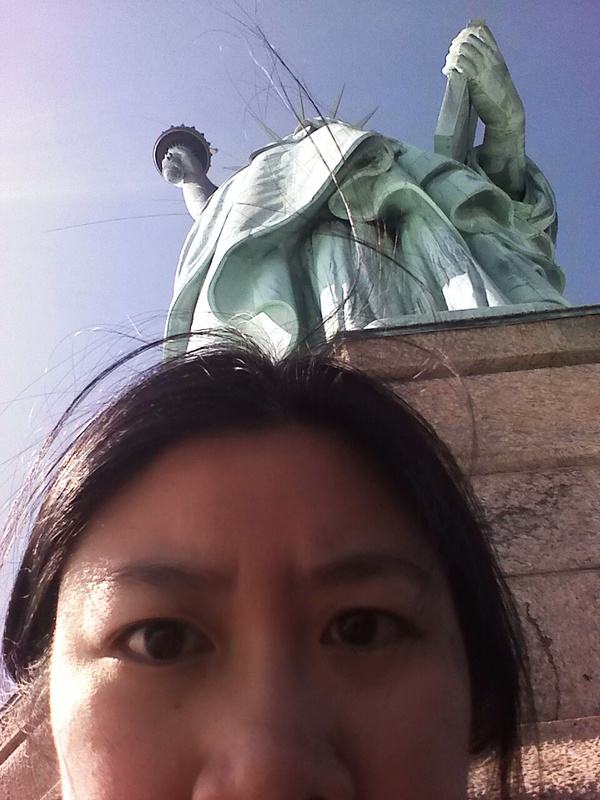 I recently had a chance to visit Ellis Island and the Statue of Liberty again. The last time I went, I wasn’t able to go up the statute. I can’t remember if it was because they were cleaning it or not. 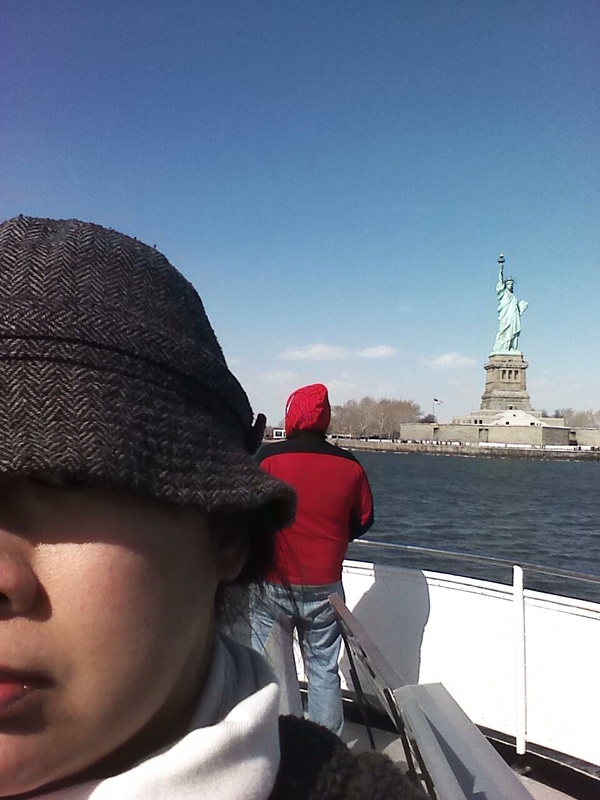 So on the ferry to the Statue, I decided to take a selfie of myself to send to my brother just to tease him. I pretty much never take selfies. Here’s one I took with the Statue behind me and another one at the pedestal of the Statue. Now, I know it doesn’t look like selfies everyone takes but I was pretty happy with them. I liked that only part of my face was showing. I’d probably crop the nose out in the second one so that only my eyes are showing. Apparently, according to my brother and not explicitly said, I need to be a professional photographer all the time and can’t just turn it off. In the first selfie, I needed to take out the person in the red coat and in both selfies, I needed to show my face more. Ah, critics! Yes, true, if I take out the person behind me, it would have made a better self-portrait. But, that wasn’t really the point of the photo. As a photographer, one has to remember to enjoy and savor the moments in life and not always be snapping away.